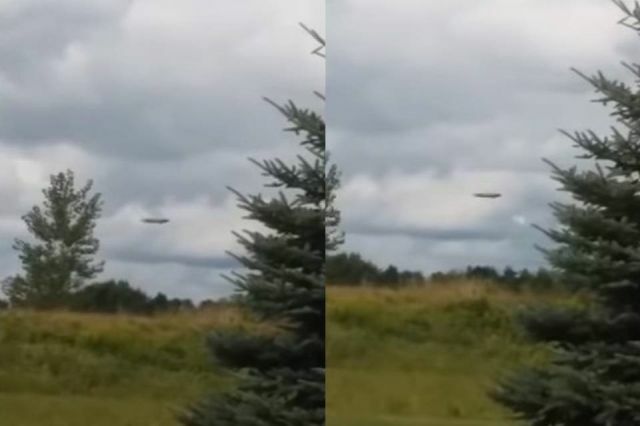 On Aug 19, 2018 a huge cylinder shaped UFO has been filmed in New York. The witness stated that something strange happened on a sunny day when he noticed a huge UFO in the sky upon he started to film the object that slowly moved forwards. The appearance of this UFO comes shortly after a similar UFO appeared above Mooreesville NC, Lake Norman. zeplin blimp? has the right shape and things jutting in the right places. This has already been discredited as a blimp by the advertising company who own it.